What Do I Need To Go Skiing? People often wonder, "what do I need to go skiing?" Whether it's your first time or your 100th time, there are a handful of essential items that you're going to need every time you hit the slopes. 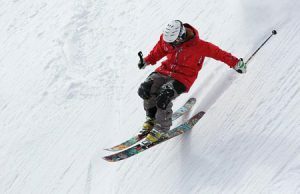 Skiing and snowboarding are gear intensive sports and it's easy to forget something when you're packing for a ski trip. Hopefully this post will help you always pack the things you need. Skis/Snowboard, Boots, Bindings, Poles - Without skis, boots, bindings, and poles it's going to be hard to slide downhill. If you have your own setup, bring it. If you need to rent your gear while you're in Big Sky, that's easy to do. Ski Socks - A good pair of thin wool socks will keep your toes warm and act as a liner between your skin and your boot. Bring a few pairs so that you can switch them out regularly. Thermal Long Underwear Tops & Bottoms - This base layer of insulation goes directly against your skin to keep you warm while you're playing in the mountains. Insulating Layers - Depending on the temps and your personal thermostat, you'll want to adjust your layering system so that you stay comfortable. Start with a fleece, synthetic or down jacket, and other layers as necessary. Ski Pants & Jacket - This outer layer needs to be waterproof, windproof, and breathable. It will protect you from the elements and help you stay comfortable in the dynamic outdoor environment. Neck Warmer - A thin neck warmer will plug the gaps between your body and your head. Ski Helmet - Be sure to bring a comfortable and warm ski helmet to keep your noggin safe. Eye Protection - Grab a pair of ski goggles or sunglasses to protect your eyes from the wind, sun, and snow. Sunscreen - Always put on a healthy dose of sunscreen. Reapply throughout the day - even when it's cloudy. Waterproof Gloves - Grab a good pair of ski gloves that will keep your hands warm and dry. 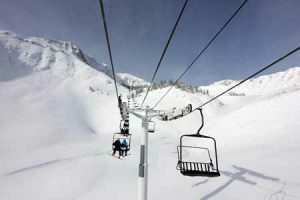 Lift Tickets - You can't load the chairlift without a lift ticket. Buy them at the ticket window or in advance so that you're ready to ski first chair to last chair. Avalanche Gear - In Big Sky, you'll need avalanche gear (Beacon, Shovel, Prove, Backpack) if you want to ski certain pieces of terrain like the Big Couloir. 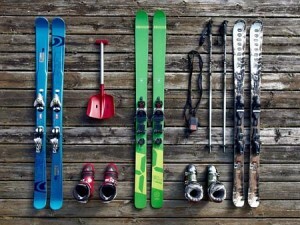 Do you have everything you need to go skiing? If you forget something, it's not the end of the world. Big Sky has lots of outdoor gear shops where you can pick up everything that you need to have a great day on the slopes. Hopefully you now have an answer to your question of "what do I need to go skiing?" Use the above tick list to ensure that you pack everything you need to have a good day in Big Sky. See you on the slopes!